Suspected Islamic extremists kill father of four who dared to hint at his faith. 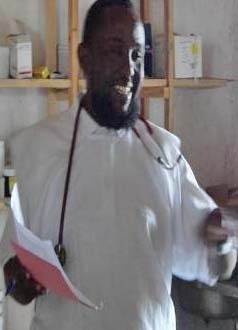 Ahmed Ali Jimale taught medicine and first aid in Kismayo, Somalia. NAIROBI, Kenya (Morning Star News) – Suspected Islamic extremists in Somalia shot a Christian to death this month on the outskirts of the coastal city of Kismayo, sources said. Two masked men killed Ahmed Ali Jimale, a 42-year-old father of four, on Feb. 18 at 1 p.m. as he stood outside his house in Alanley village, near a police station, they said. The killers were suspected to be members of the Islamic extremist Al Shabaab, a rebel militia ousted from the area four months ago but still engaging in hit-and-run tactics. A few of the four rival clans in Kismayo, 328 miles southwest of Mogadishu, are said to be housing members of Al Shabaab. A businessman, teacher and medical consultant well-known in the area, Jimale ran a pharmacy in Kismayo. 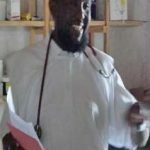 He would give private lessons on medicine and first aid, and as an underground Christian – as are all Christians in Somalia – he highlighted the teaching with discussions comparing the Bible and the Koran, sources said. The students would share these lessons with other children, and this teaching, along with his close work with a Non-Governmental Organization (NGO) that provides aid, appeared to have caught the attention of the Al Shabaab extremists, said a source who worked with Jimale but is no longer in the area. When the Somali National Army and the Kenya Defense Forces wrested control of Kismayo from Al Shabaab, Jimale became increasingly open in presenting the religious content of his teaching, and the Islamic extremists suspected he was a Christian – and guilty of “apostasy” or leaving Islam, on the common assumption that all Somalis are born Muslim, the source said. Toward the end of 2012, Jimale began receiving threatening messages in his phone, sources said. Jimale had been an employee of the NGO, and occasionally he continued receiving contracts from the aid organization. Such organizations are often associated with Westerners and Christianity, both anathema to Al Shabaab. Jimale’s children, two daughters and two sons, are ages 10, 8, 6 and 4. The incident was the latest in a series of murders of Christians in Somalia over the past several years. On Dec. 8, 2012 in Beledweyne, 206 miles (332 kilometers) north of Mogadishu, gunmen killed a Christian who had been receiving death threats for leaving Islam (See “Christian Shot to Death in Somalia,” Dec. 14, 2012). Two unidentified, masked men shot Mursal Isse Siad, 55, outside his home for leaving Islam, Muslim and Christian sources told Morning Star News. Siad and his wife, who converted to Christianity in 2000 according to a source who used to worship with them, had moved to Beledweyne from Doolow eight months before, after Somalia’s transitional federal government and African Union Mission in Somalia troops captured Beledweyne from Al Shabaab rebels. Siad had taken a job with a local NGO. In the coastal city of Barawa on Nov. 16, Al-Shabaab militants killed a Christian after accusing him of being a spy and leaving Islam, Christian and Muslim witnesses said. The extremists beheaded 25-year-old Farhan Haji Mose after monitoring his movements for six months, Christian sources said (see “Christian Convert from Islam Beheaded in Somalia,” Nov. 17, 2012). © 2013 Morning Star News. Articles may be reprinted with credit to Morning Star News. To be removed from email distribution, contact editor@morningstarnews.org.